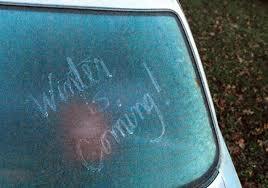 Frosty mornings means scraping car windows and warming the engine before driving off. However, take care and do to leave your vehicle unattended or it could be someone else driving off in it, instead of you! Here are some tips about 5 essential winter care accessories. Also, you can get more winter driving advice on our ‘Topical News’ page. This entry was posted in Information sources, Safety, Travel, Uncategorized and tagged driving advice, snow, weather, winter driving on November 8, 2016 by admin. What do you think of the Fire and Rescue Plan for North Yorkshire? Warning about Brexit scams ….. and there are many!